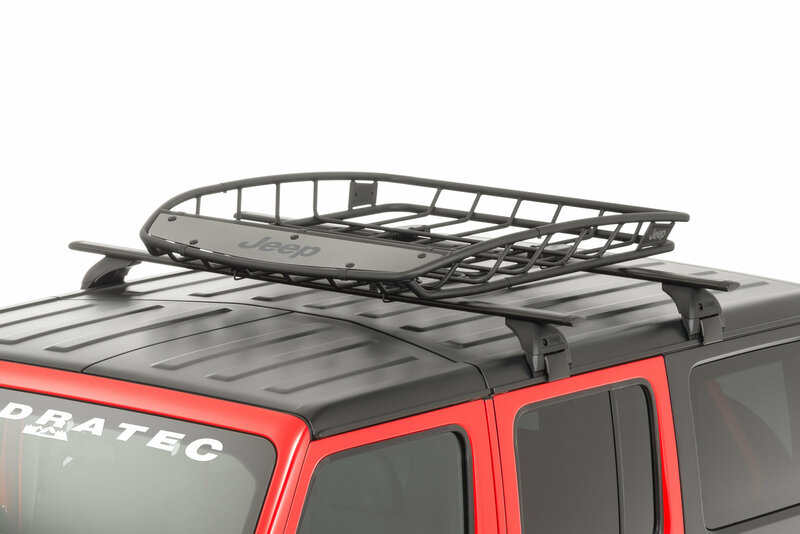 The Roof Rack Cargo Carrier Basket from Mopar is specifically designed to use with the Mopar Removable Roof Rack Rail Kit for the Wrangler JL. 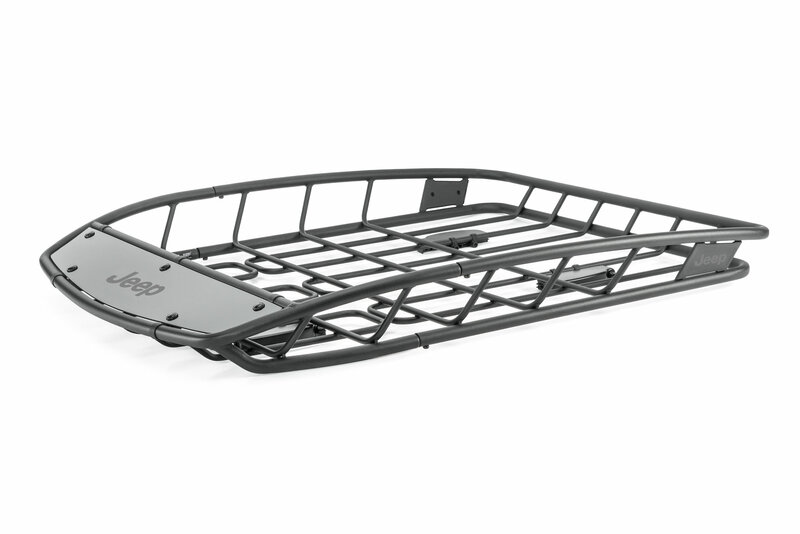 This cargo basket is a low profile design with an integrated wind fairing that will help with air flow. 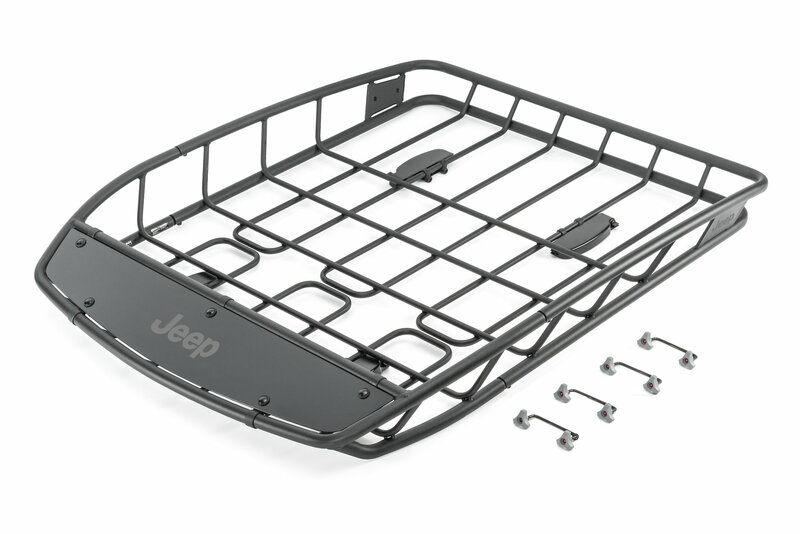 The basket measures 44 inches long x 39 inches wide and will be great for extra storage on top of the Jeep. 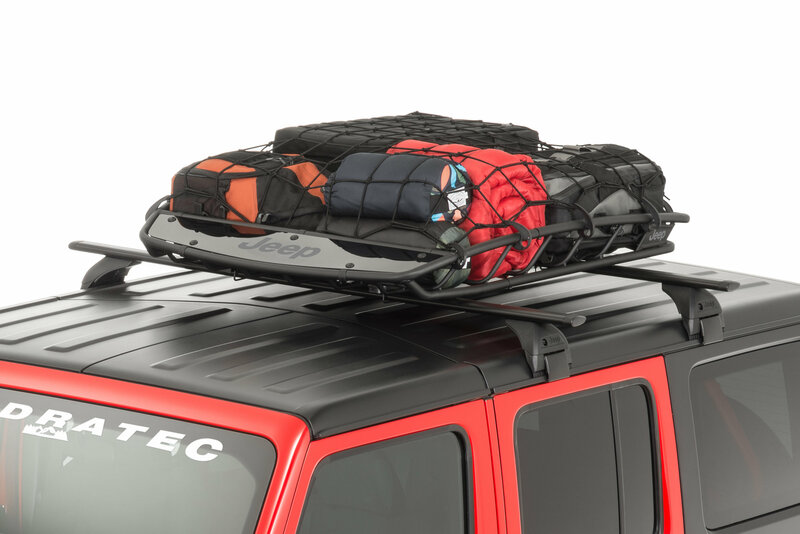 The cargo basket will hold a maximum of 150 lbs. 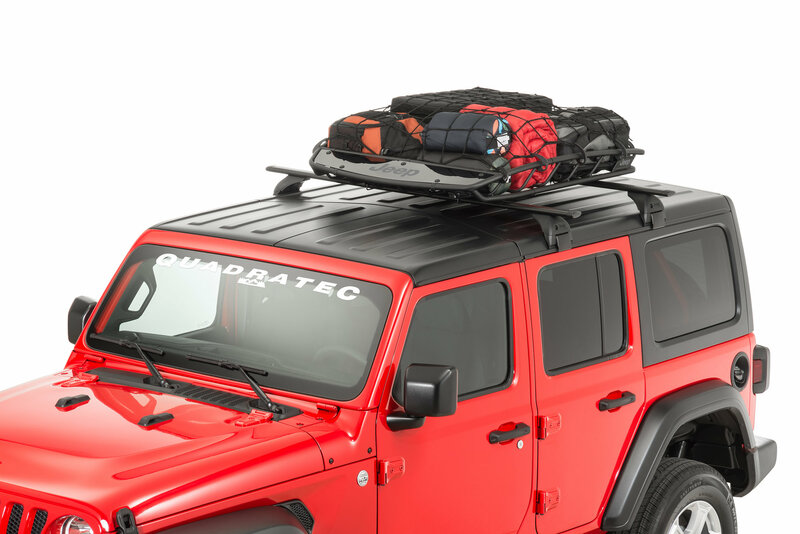 Attaches to the Roof Rack Rails with the included hardware.